Fantasy soccer betting has become a highly profitable industry in Europe and the UK. It has now finally arrived in the US and it’s taking off. Betting on fantasy soccer, where people put together an imaginary team of real-life soccer players, makes the game even more thrilling and engaging. The popularity of fantasy soccer betting has grown over the years thanks to the Major League Soccer (MLS) and daily fantasy soccer leagues on large fantasy sports websites like DraftKings. Soccer has a much bigger fan base in Europe and the UK compared to America. Consequently, this affects how fantasy soccer betting works in the Trans-Atlantic regions. A European fantasy soccer betting game lasts throughout the entire soccer season, while here they last just over a weekend. However, the rules of fantasy soccer and placing bets are the simple and similar. Bettors use a set bankroll – usually $50,000 here – to draft a minimum of three line-ups. The MLS is the men’s professional North American soccer league. It’s made up of 24 teams – 21 from the US and 3 from Canada. With the growing popularity of this league, American and Canadian fantast sports fanatics now have a local league of some of the best players in the world to draw players from. If you’re new to fantasy soccer betting, it may be difficult to figure out which fantasy soccer betting sites are trustworthy or the best. We’ve rounded up the some of the top fantasy soccer sites to place your bets on. CBS Sports is a popular home to hundreds and thousands of US players who enjoy fantasy sports betting, especially fantasy soccer. It offers most of the soccer leagues except the British Premier League fantasy soccer contests. DraftKings introduced fantasy soccer in 2014 with enormous prizes. This site is one of the best places to play fantasy soccer for real money or for fun. American players can take part English Premier League, MLS, and UEFA Championship fantasy soccer games. The well-known sports television network, ESPN also offers fantasy sports betting options. Players can also enjoy some free fantasy soccer games. This platform is extremely popular in Europe and the UK. It holds an operator’s license in both America and the UK, so playing fantasy soccer on Mondogoal is completely legit. Because of its massive presence across the pond, it competes with giants like DraftKings here. 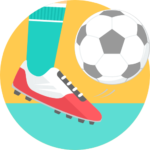 Mondogoal offers fantasy soccer betting in all the major soccer leagues like the Barclay’s Premier League, Series A TIM, MLS, League BBVA, Brasileirao. Additionally, the men’s and women’s World Cups have a fantasy league on Mondogoal. This fantasy sports platform accepts players from over 100 countries. 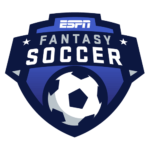 There are daily and weekly fantasy soccer games. Furthermore, the London-based Playon.co has some very innovative competitions for bettors to compete in. The Telegraph is a subscription fantasy sports platform but a top favourite in the UK for fantasy soccer betting. Unfortunately, it’s not open to players across the world. Creating one team is free but then players will have to pay $5 for extra teams. The Telegraph pays out very well: it gives away $100,000 to the season’s champion. This is a firm favorite for fantasy sports players around the world. Fans of Yahoo say that it is one of the best betting sites for fantasy soccer. Players will be pleased to know that Yahoo’s fantasy sports site is also available on Android and iOS apps. 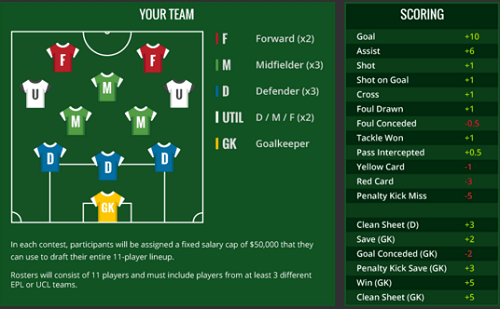 Playing fantasy soccer involves the same basic rules wherever you play. It’s about creating a roster of players, earning points based on the players’ performances, and become the champion of their league. It’s almost like owning your own soccer club. 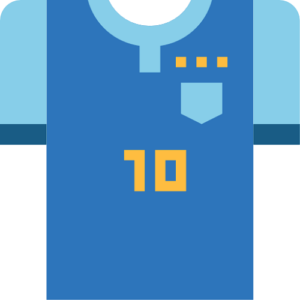 Below we’ll look at some basic guidelines to help you be the best fantasy soccer bettor you can be. We’ll be using the MLS as our soccer league. It’s played exclusively in America and Canada, removing the time zone difference between you and other leagues. A lot of research needs to be done before you can build a strong roster of players. This makes drafting, which we’ll cover below, a bit complex. MLS stats aren’t as readily available as the other much larger leagues. So, therefore, the only way of gaining a good insight into the league is by watching as many games as possible. A squad must be made up of two goalkeepers, five defenders, three strikers, and five midfielders. Some soccer betting sites limit the number of players you can pick from one team to three. The number of times you can transfer players are unlimited before the season starts. But, once it begins, there is a limit. Some allow you to transfer as many times as you want during the season but they do deduct points. Players that perform well have higher transfer fees. The main point of fantasy soccer betting is to create your own team that will be going up against other teams in your league. The team with the most fantasy points at the end of a season wins. There are public leagues and private leagues. The first kind of league – public leagues – are open to anyone and a good place for new players to practice. Once you’ve gained experience, you can create a private league and challenge friends or other seasoned fantasy soccer players. Here we’ll cover some of the more commonly asked fantasy soccer betting questions. Is fantasy soccer betting legal in the US? Yes, playing fantasy soccer is 100% legal. Along with other fantasy sports betting, betting on fantasy soccer is legal in most states. Our recommended sports betting sites only operate in states where fantasy soccer and other fantasy sports are considered games of skill. It wasn’t listed in the Unlawful Internet Gambling Enforcement Act (UIGEA) of 2016 list of banned games. How do I learn fantasy soccer? There are many websites, like ours, that offer free guidance on fantasy soccer. Additionally, you can ask a friend or family member into fantasy soccer to invite you into a league and be your mentor. Is there a free version of fantasy soccer? You’ll find free version to play for fun at all major fantasy sports betting sites. However, you can’t win any real money. Play as much as you like to get yourself better at the game. Once you’re confident with your newly acquired skills, you can move into the real money mode.